Action role-playing-game Monster Hunter sell extremely well in Japan. 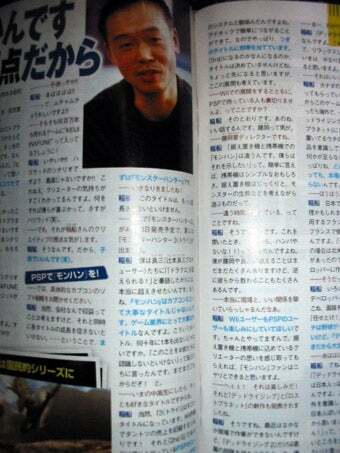 Dead Rising designer Keiji Inafune mentions new PSP MH in the upcoming issue of Famitsu. Inafune stated Capcom was working on a new Monster Hunter. While Monster Hunter 3 (tri-) is coming to the Wii this summer in Japan, this upcoming PSP game could very well be Monster Hunter 3rd. "But the title isn't decided," says Inafune. The action role-playing-series has sold 8.5 million copies to date and Monster Hunter Freedom 2G has shipped 3 million units, so you can bet Capcom is working on another MH and another one after that and so on.